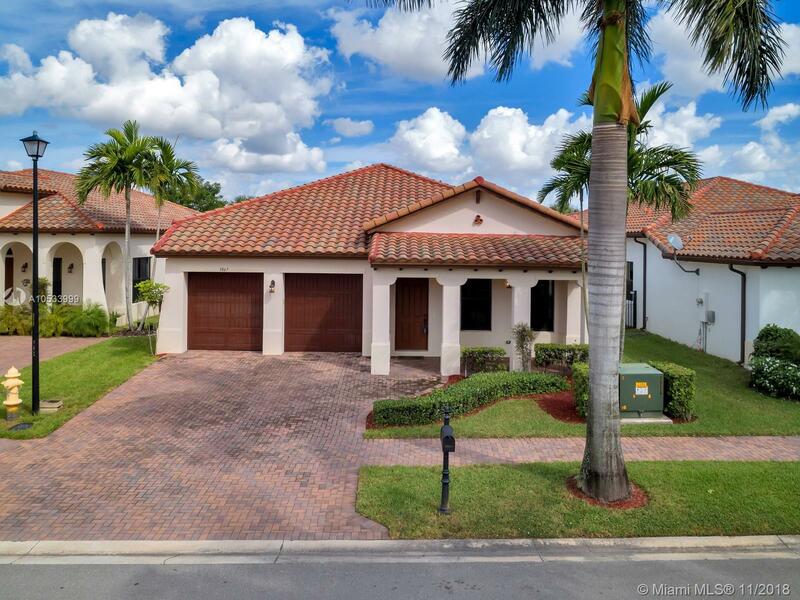 3867 NW 82nd Dr, Cooper City, FL.| MLS# A10533999 | Susan J Penn l Best Agent l Buy & Sell South Florida Homes! The most requested and desired one story homes in Monterra! 3 bedrooms, 2 and a half bathrooms distributed with a great layout for the best comfort. Great living and dining area, very spacious family room, breakfast area, beautiful kitchen with granite counter tops and wood cabinets. Alarm system ready to be activated, 2 car garages with 2 independent automatic doors. Very nice backyard with covered terrace to enjoy at any time of the year. The advantage of enjoy the amazing amenities of the very exclusive Club House of Monterra including pools, basketball courts, state-of-the-art fitness center, party room, playground, and dog park in a great family friendly environment. A+ Rated schools. Directions: Main Gate Entrance In Pine Island Rd, Between Sheridan Street And Stirling Rd.